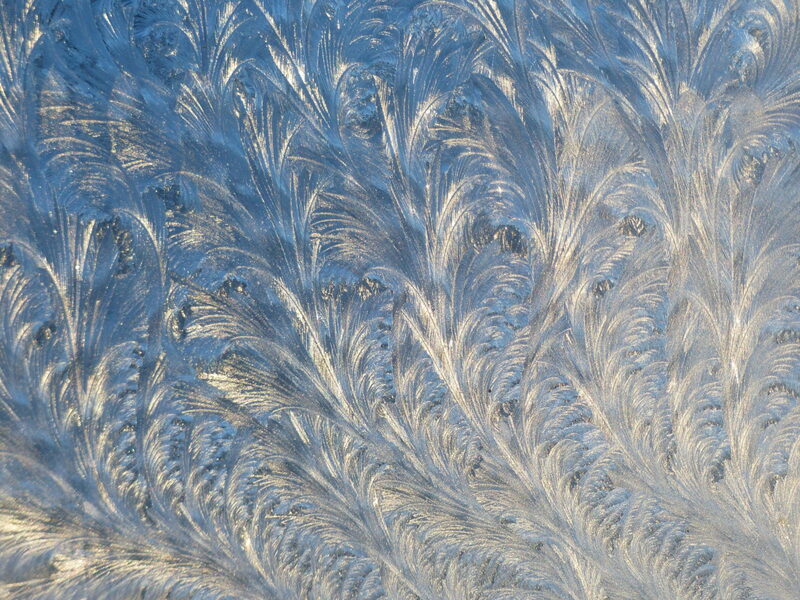 Although it is not great for energy efficiency, our windows get incredibly intricate and unique frost patterns on frigid days. I have to make sure I get photos of them before they melt, which happens quickly once the sun gets on them. The morning sun brings out highlights, making the frost glow.